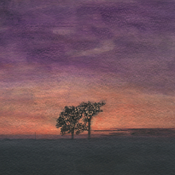 Acrylic paint on watercolor paper. 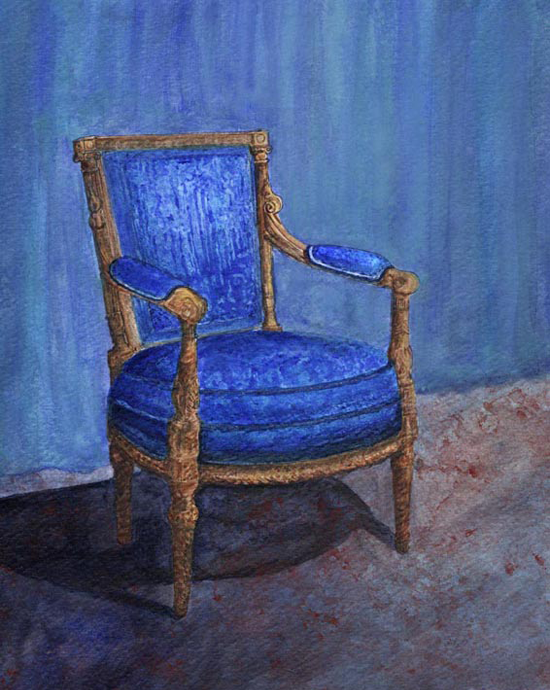 Acrylic paint sprayed on muslin, using a sawdust masking technique. 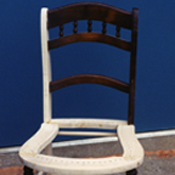 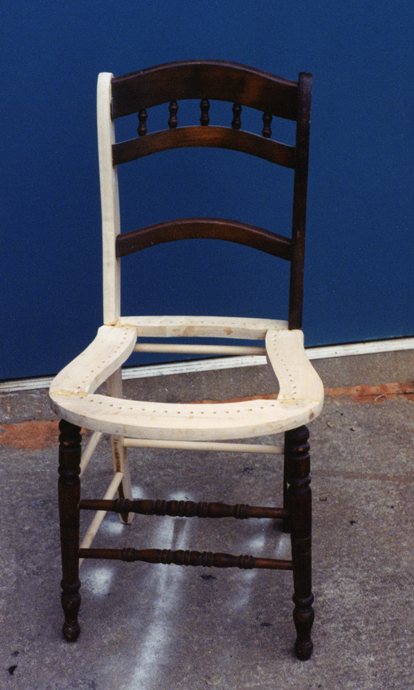 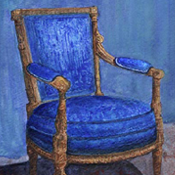 An old cane-seat chair in the initial stages of reconstruction. 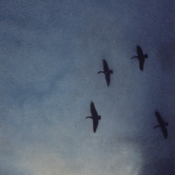 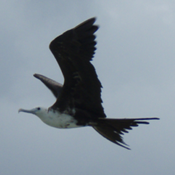 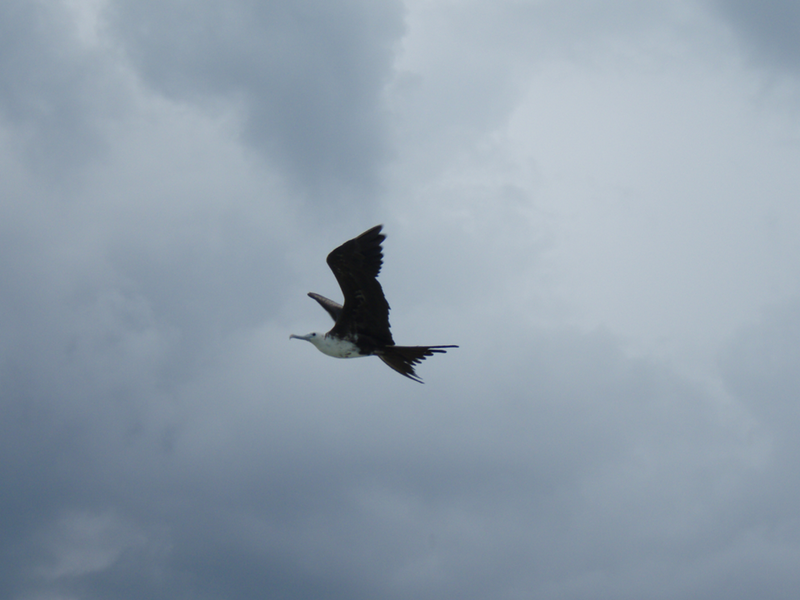 Frigate Bird off the coast of Belize, taken with an Olympus Stylus 770SW. 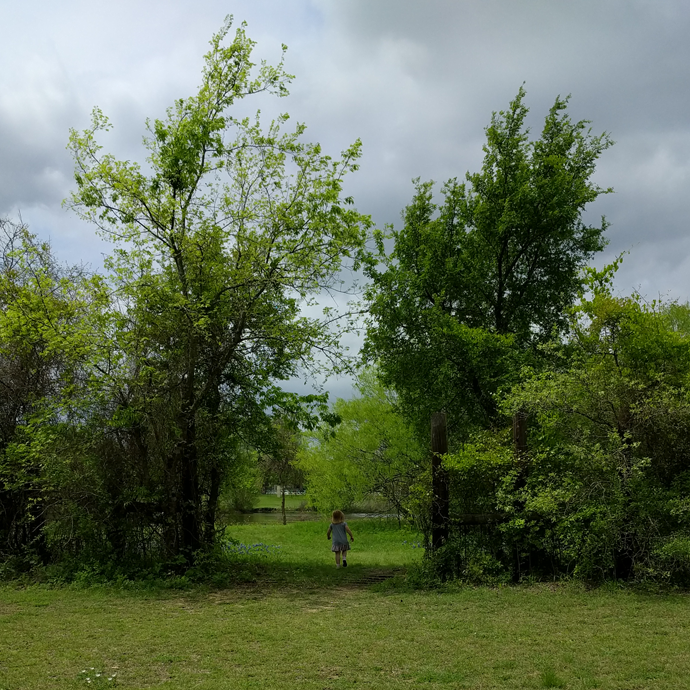 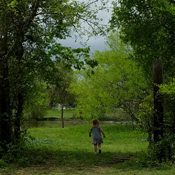 Young girl in a meadow in Texas, taken with an Olympus Stylus 770SW. 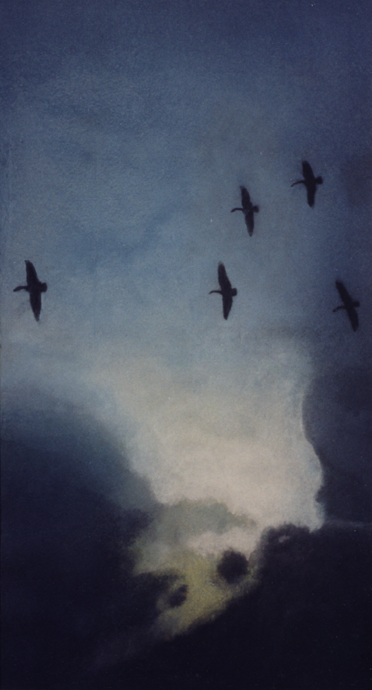 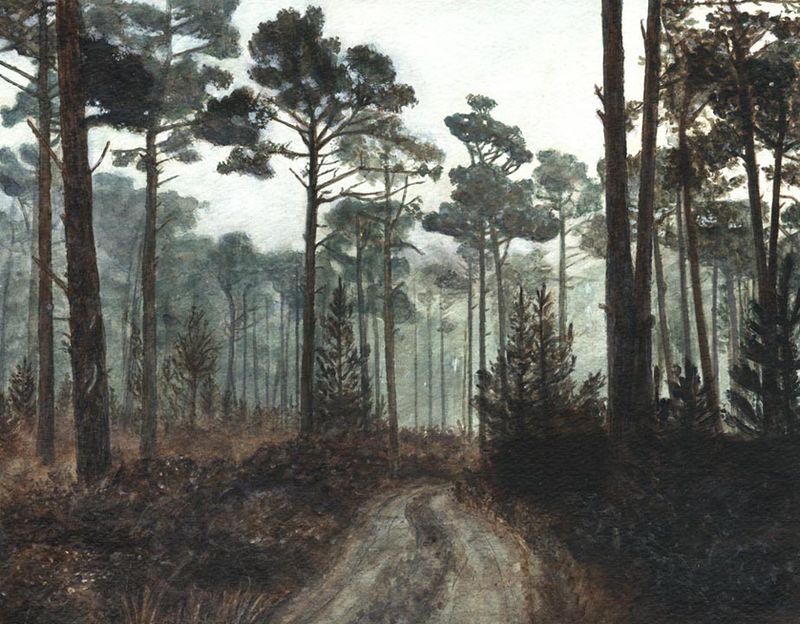 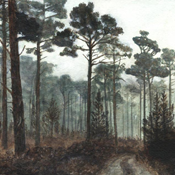 Acrylic paint on watercolor paper painting, after Ansel Adams' black and white photo "Road and Fog, Pebble Beach California, 1964". 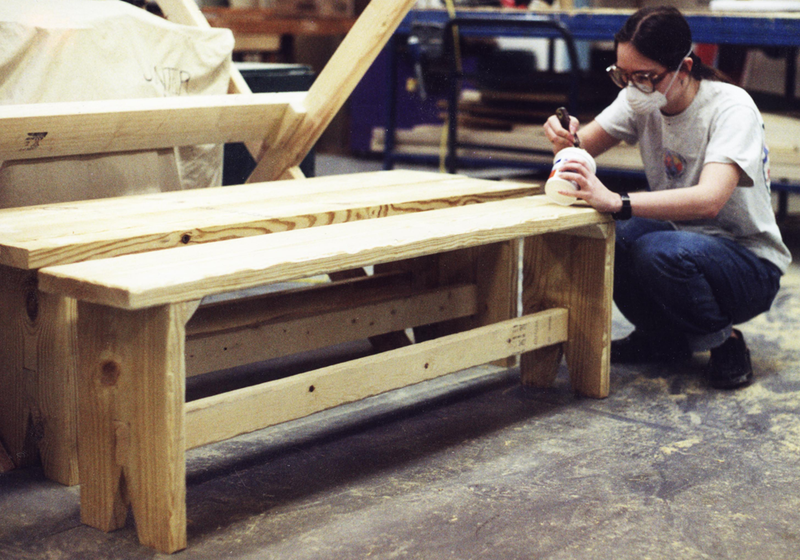 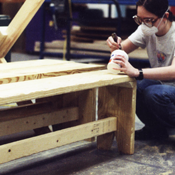 Sturdy pine benches and tables for "A Time For Singing". 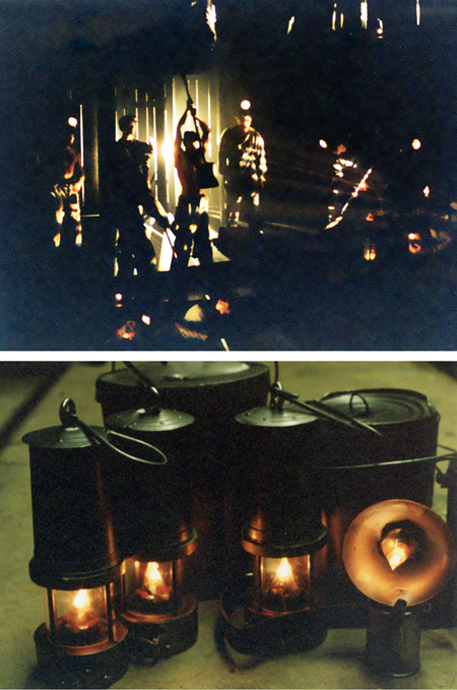 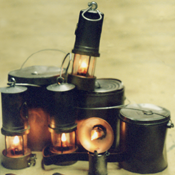 Functional handmade miners' lamps, lanterns, and lunch pails for "A Time for Singing". 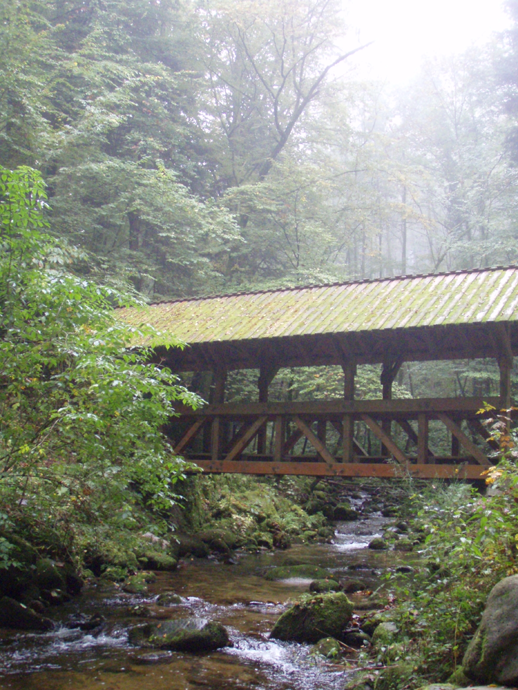 Photo of a covered bridge in the Black Forest, taken with an Olympus Stylus 770SW. 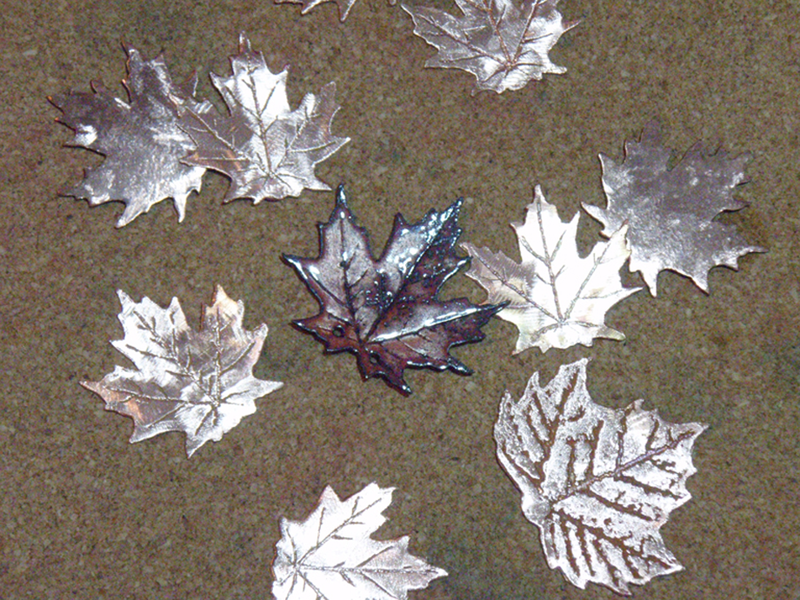 Leaf pendants in progress. 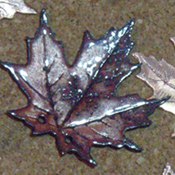 Sheet copper cut and etched into leaf shapes, then flame-annealed and coated in clear enameling glass as shown at center. 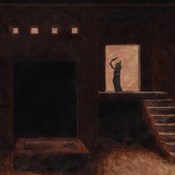 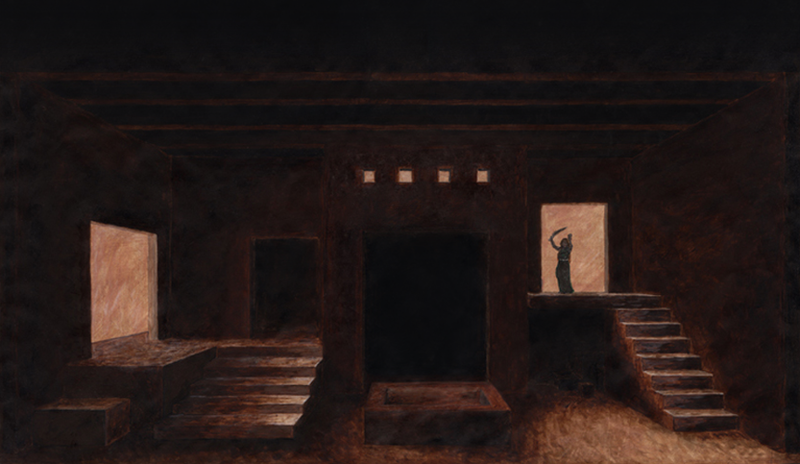 Gouache on paper rendering of a set design for "Medea". 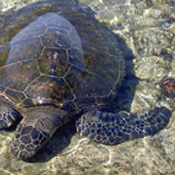 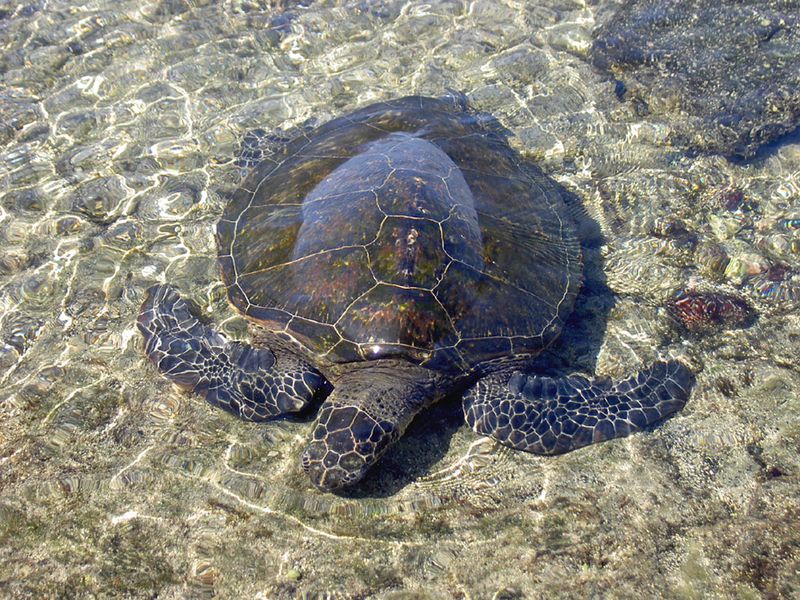 Green Sea Turtle, Hawaii, taken with a Konica Revio KD-310Z. 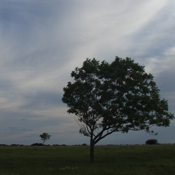 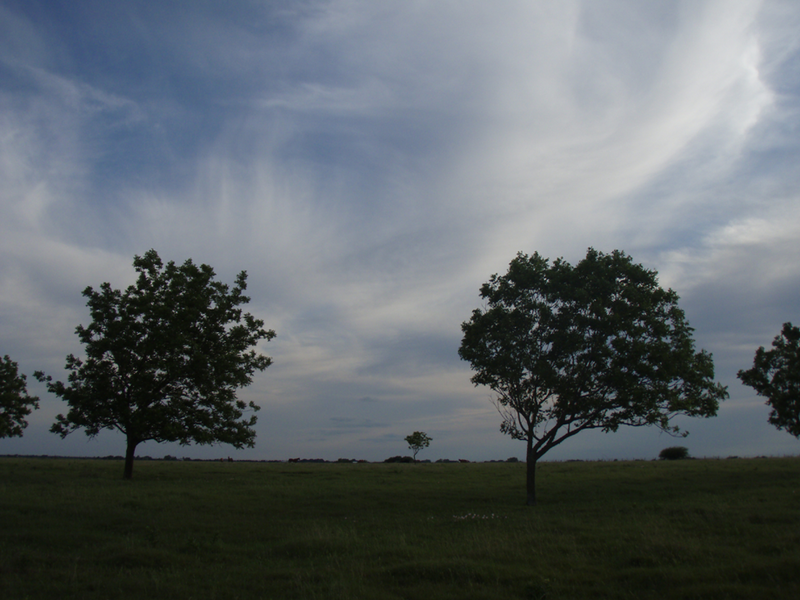 Live Oak trees against the sky in Texas, taken with an Olympus Stylus 770SW. 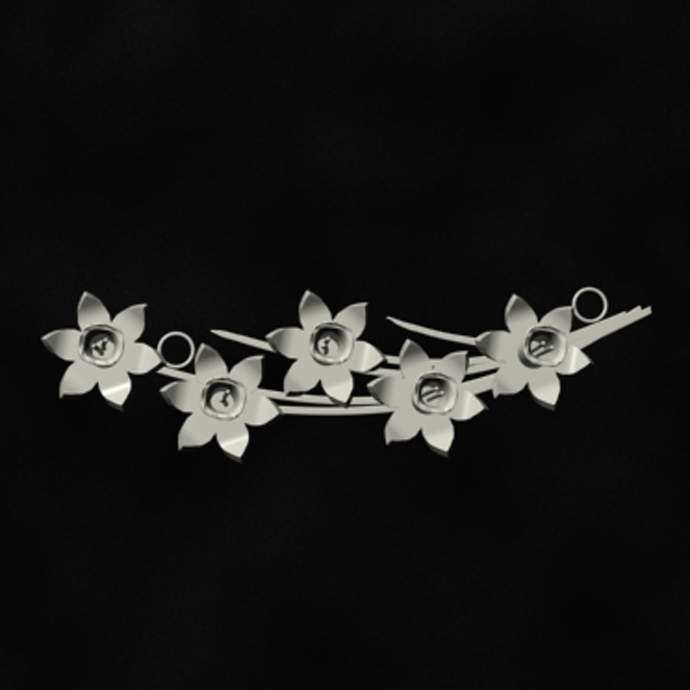 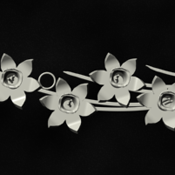 3D Studio Max rendering of a daffodil pendant fabricated from sterling silver sheet metal. 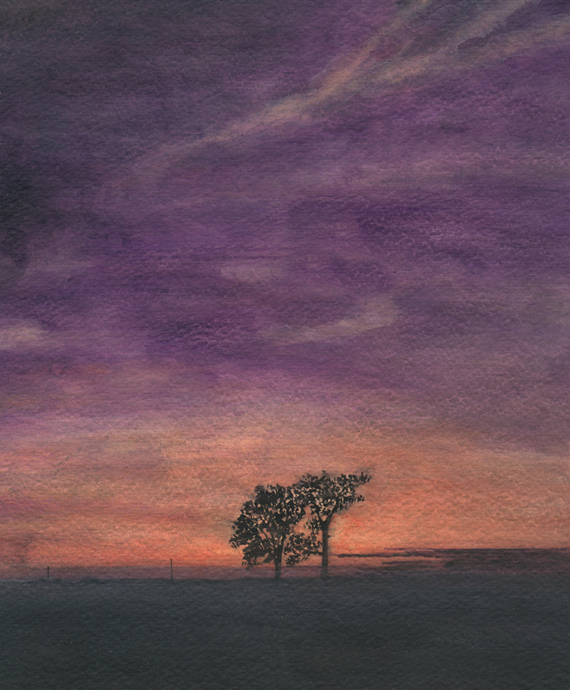 Ink and acrylic paint on watercolor paper. 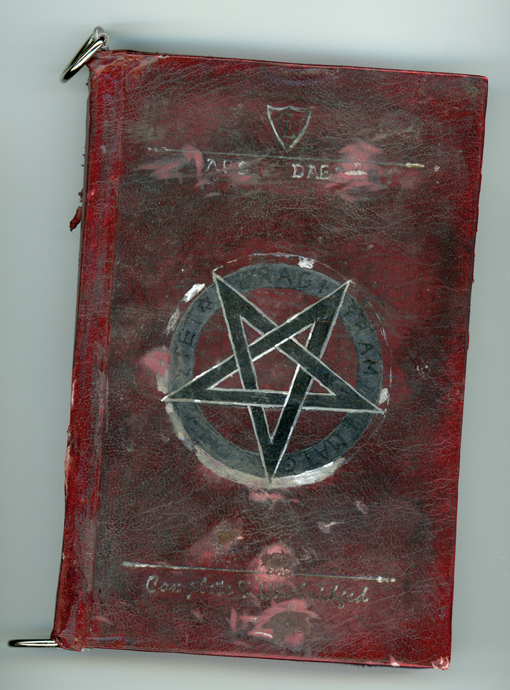 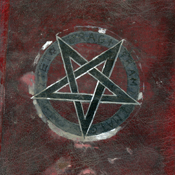 Acrylic-painted faux leather book cover for prop book.